Hopefully, you’re as excited as we are about joining us in our Teepees and Sperry Tents for our upcoming Spring Open Weekend at Escrick Park on the 6th & 7th April 2019. In this blog post, we’ll be sharing the suppliers behind our beautiful finishing touches, the icing on the cake for what will be an unforgettable and inspiring weekend. Showing you around our Teepees and Sperry Tents really is the highlight of our year. We sing their praises all year long, but once you see these beauties, you’ll soon see for yourselves what makes them so very special. Alongside our Teepees and Sperry Tents, you’ll also be able to see, feel and sample our luxury Finishing Touches in person. 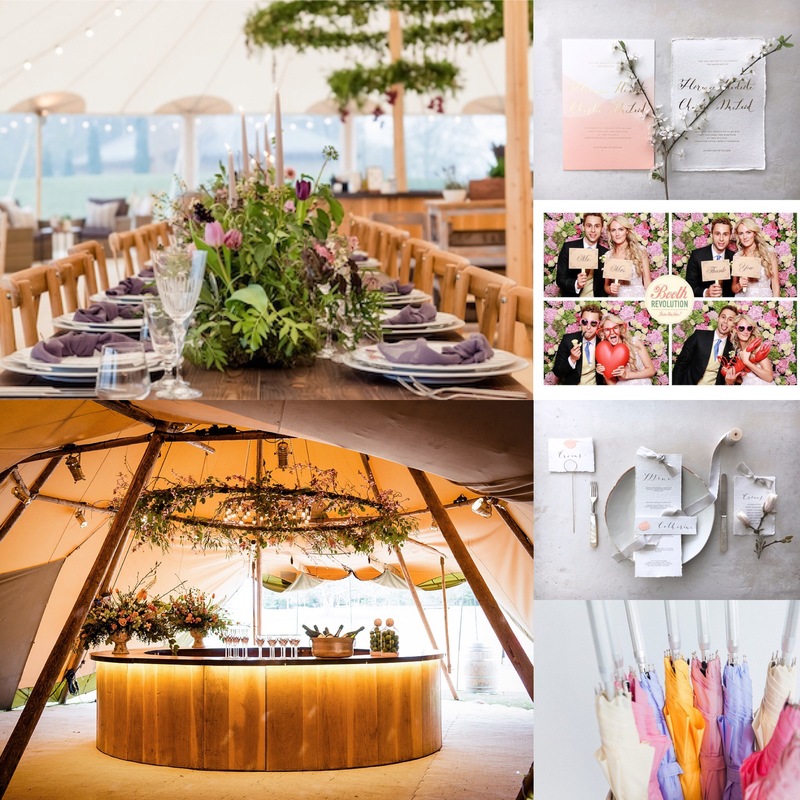 The Open Weekend is the perfect opportunity for you to collate your own wedding or event wish-list, creating the look you want and helping you to visualise your day. The Spring Open Weekend stationery will be brought to you by Lonetree. 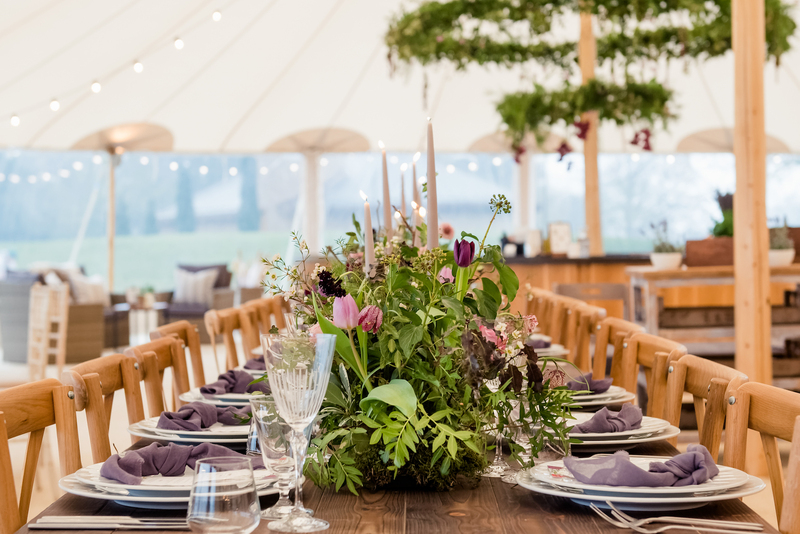 Co-founded by sisters Emma Bensalem and Sara Hall, Lonetree will be showcasing their luxury wedding stationery against the backdrop of our Teepees and Sperry Tents. Everything we produce is designed in-house and hand foiled from our studio on the edge of the Yorkshire Moors. We do all calligraphy ourselves and all our papers are heavy luxe matt stock, milled here in the UK. We are proud to have worked with some wonderful brands and galleries, such as Liberty of London, The British Museum and Conran and have recently opened up our design studio, accepting commissions from couples, for their wedding day. 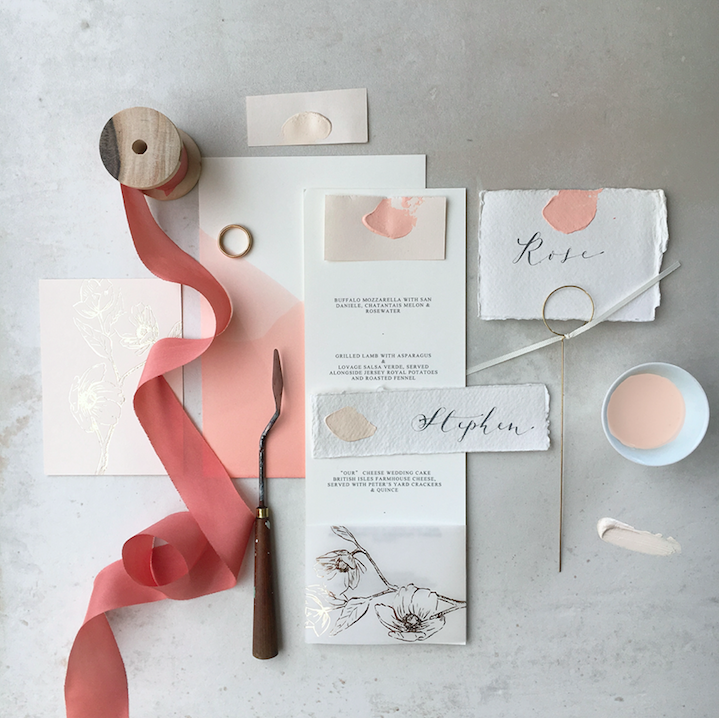 Inspired by the theme of Papkata’s Spring weekend and Pantone’s colour of the year “Living Coral” we will be incorporating pinks, peaches and nudes into our wedding stationery and contrasting hand made Khadi papers with crisp ivory heavy luxe card for a soft and stylish feel. Grey inks, our own modern calligraphy and hand died bamboo ribbons and dip-dyed papers all fit perfectly with overlaid hand-drawn botanical illustrations, foiled in gold. 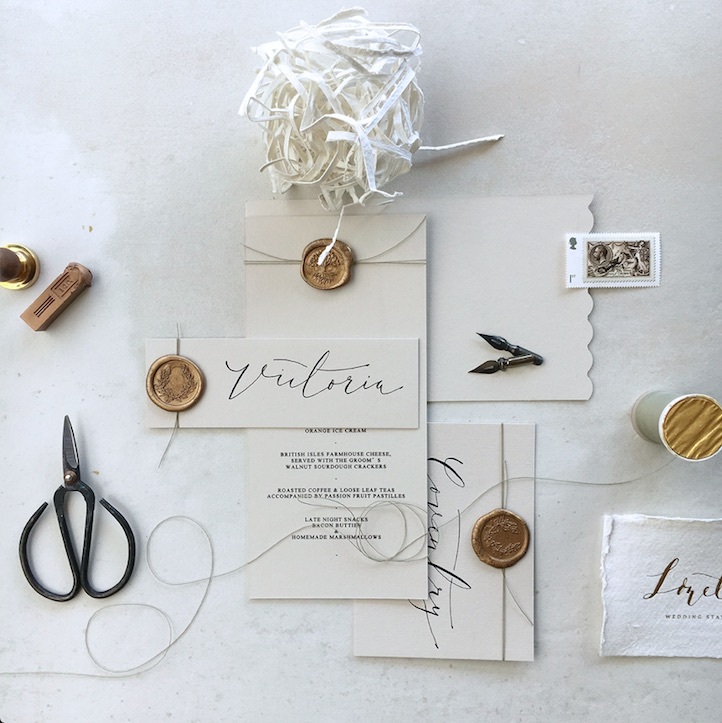 Combining vintage style with a romantic minimalist clay and cream colour palette the stationery is filled with nostalgia and contradicting clean and modern lines, complementing softer textures with clean black ink, antique gold seals and waxed sage thread throughout. We’ve hand-picked a selection of the finest crockery from event favourite Whitehouse Event Crockery. Stunning in its simplicity, the selection we’ve chosen will sit unobtrusively alongside the delicate florals. Sumptuous peony and the prettiest pale blue linen by Just 4 Linen will add texture, softening the natural wood finish of our PapaKåta tables and chairs. Give your guests a keepsake, a photo to take home and keep those memories of your celebration alive! Everyone loves a photo booth, there’s always one, make that two, three or four, left in the booth at the end of the night! 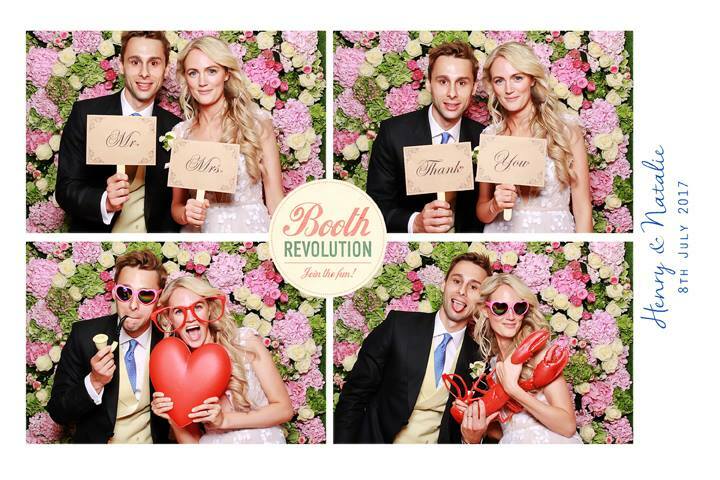 And what’s not to love about a Booth Revolution photo booth?! A contemporary version of the old-school classic photo booth. A fun and exciting memory-maker as well as being great entertainment for any event, party or wedding reception. Working with Booth Revolution, we’ll be challenging photobooth convention once again for our Spring Open Weekend. Pop along with your friends and family and get the ultimate pre-party/wedding and event planning pic, as well as some ideas for your own Wedding or Event booth backdrop! Come rain or shine Brolly Bucket save the day! 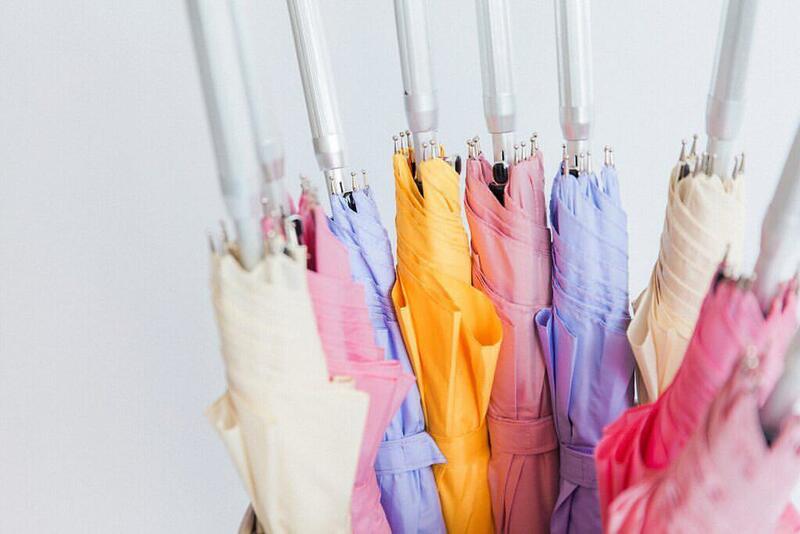 There will be a selection of Brolly Bucket’s beautiful and bright brollies on display at the Open Weekend. Like anyone planning an event, we’re hoping they won’t be needed, but there’s nothing wrong with being prepared and when preparations look so pretty what’s not to love?! Our Spring Open Weekend will be held next weekend (6th & 7th April) at Escrick Park Estate near York. 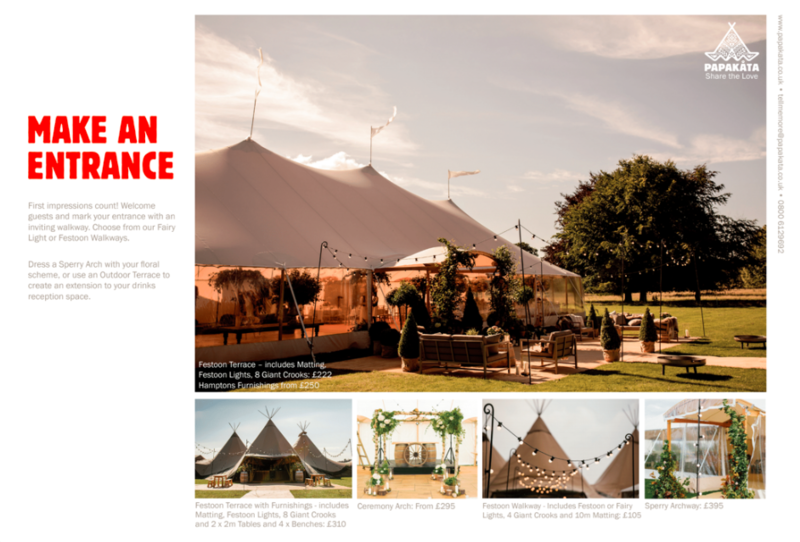 It’s the perfect opportunity to step inside the Teepees and Sperry Tents and talk to the Papa team about the finer details of your wedding or event.